Want to try some Powerbars for free? 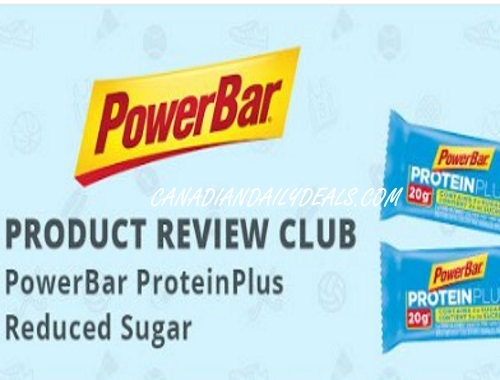 Chckadvisor has a new Product Review Club campaign for Powerbar ProteinPlus Reduced Sugar bars! These are available in two great flavours: Creamy Chocolate Peanut Butter and Lemon Poppy Seed – PowerBar ProteinPlus Reduced Sugar Bars contain: 20 grams of protein, 3 grams of sugar or less and they’re also gluten free! They’re giving 1,000 Canadian women the chance to sample a selection of both flavours. Simply click on the link below for more product details and apply before May 21, 2017 for your chance! For extra consideration make sure you spread the word on social media and remember to include #PowerBarReducedSugar when you post on Twitter, Instagram and Facebook.